Today I was upgrading some from windows 2000 to XP, and 99% of the upgrade I was able to do over the network. The only part I needed to go out to the PC was due to the network card not getting picked up correctly. While the PC is in the building next door this is not really an issue. But the next block are on some farms a mile or so from the main site. The system I was using to install is straight forward. First copy the i386 folder from a windows XP CD to a network drive and make it available via a share. The users who will be running the install needs read access to this folder. Edit this policy and chose User Configuration –> Software Settings. Right click software insulation and chose new –> package. in the box that pops up browes to the i386 folder on the share and choses the Winnt32.msi file. 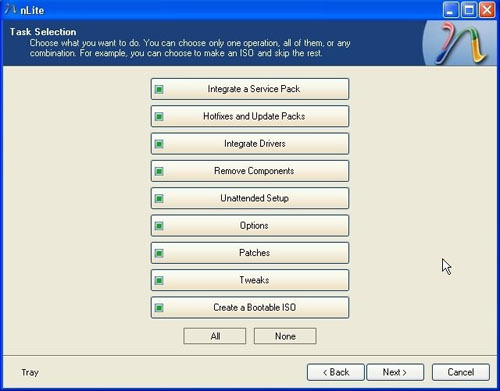 Click OK.
Now when you log on to a windows 200 PC, and either the user or the PC has that GP applied to them, by going in to add/remove programs and then clicking Add new Programs, you will see the upgrade to XP insulation. But as I said the big problem is the default XP CD does not have many network drivers and many PC’s although will run the upgrade will not be able to connect to the network, requiring a you to visit the PC’s with a pen-drive and a copy of the correct drivers. Many years ago I remember slip streaming office on to an XP CD, and I remember at the time it was a right pain and took me for ever to get it working, requiring manually editing config files and many attempts before I got it to run. But knowing that slipstreaming drivers is possible I thought I would take a look at how things are now. Copy your XP insulation CD in to a folder on the hard drive. Run nlite and point it to the folder. If you still do install from disk and you find your self having to do the same tidy ups after every install, slipstreaming is a great method to automate the process. This entry was posted in General Tech and tagged install, slip stream, XP by DevilWAH. Bookmark the permalink.